One question I have been asked frequently is, “How did you know how to battle retail shrink in the grocery business, especially considering your background is predominantly in discount retail?” My response to that question is almost always the same, which is: “I follow the loss prevention road map.” Often I get blank stares, but after explaining, most understand and realize they have probably been following their own road map for years without realizing it. I have always described the road map as a six-step process; one that takes years to perfect, but when executed properly can yield amazing results in not only grocery store shrink reduction, but any expense a company is attempting to minimize. This post focuses on step one. In one respect, the question was predictable, but I could not give an inspiring answer because I did not know enough about his company. Rather than making up an answer—which I could have—I simply stated the truth and responded this way: “I really can’t answer that question, as I have no idea what the problems are in your company, let alone which ones are driving retail shrink. What I can tell you, however, is that if you hire me, I will spend time in stores, the distribution centers, and, more importantly, your finance department. Within a short time, I will not only have a handle on what may be causing the losses, but, more importantly, how to execute best loss prevention practices designed to prevent them.” My answer must have been convincing because I landed the job. It makes sense that the first phase of any loss prevention program start with problem identification. Besides, if you are currently in an LP position, at any level, this is what you are paid to do—identify and resolve problems. The question that must always be asked, however, is are loss prevention and asset protection departments allocating resources to focus on critical threats, especially those that could have the biggest impact on retail shrink and financial performance? One of the most fundamental problems facing LP executives today is the lack of relevant, timely, and accurate data. Unfortunately, when accurate data is not available, organizations simply don’t know where their problems are or, even worse, they think they do. This can result in piecemeal or poorly defined LP initiatives that have little effect on an organization’s financial picture and ultimately fade away or simply are never executed to their potential. Therefore, the road to any successful loss prevention program must begin with finance. Look around our industry; it is becoming more and more apparent that some of the most successful programs are those where LP either reports into finance or has an excellent relationship with them. Unfortunately, some in our profession continue to view finance as the organization that always wants to slash budgets, complain about retail shortage results, or question every expenditure that is submitted for payment. My experience tells me that no group has access to more relevant, timely, and accurate data than finance, especially as it relates to retail shrink and the loss prevention area. This includes data such as shortage/waste results, workers’ compensation and general liability expenses, bad check losses, and cash shortages. In grocery, this becomes extremely important because of perishables, which may account for 60 percent of grocery store shrink results. All of this information is at the fingertips of the chief financial officer or those who work for this individual. Because they have a genuine interest in controlling expenses, they are usually willing to share this information with loss prevention personnel when asked. Proactive LP departments are actively engaged with finance, typically receiving this information by period, quarter, and especially year end. One advantage of receiving accurate and timely information is that once you have it is that you can immediately begin to benchmark any progress you make. Remember, these are financial results, which once posted, remain unchanged forever. As a result, they become your measuring stick for progress. Charted, graphed, and presented properly, this information can be powerful in demonstrating to the highest levels of your executive management team the success of your department and the financial impact you are making on the company. Nothing is more eye-opening than visiting stores, especially for the first time. Within an hour or two, one immediately gets a sense of how a store is run, the controls (if any) that are in place, and how actively engaged the staff is or isn’t in managing retail shrink and other loss prevention processes. For example, a number of years ago I remember visiting a store that had recently been acquired. The senior vice president of operations asked that I become personally involved as he had recently visited the location and was upset about their high retail shrink results. My job, he said, was to identify specifically what was driving the retail shrink problem. Prior to leaving, I met with finance and received a wealth of information. After poring through the details, I learned that not only did this store have a retail shrink problem, but they also had issues in almost every measurable loss prevention category, including inventory shortage, bad checks, accident history, refunds, and cash losses. In fact, the losses were three to four times that of the corporate average. Upon arrival, I spent an hour with the store manager and listened to her describe horror stories about the shoplifting problems affecting her location. When we walked into receiving, I noticed mops and buckets stored in a maintenance closet. I asked if she had an overnight fill crew or contracted cleaners, and she answered yes to both questions. I then asked if the burglar alarm system was functioning properly, as this was a non-24-hour store. She advised that it had not been functional since her arrival. She was quick to point out that numerous calls had been placed to facilities maintenance for repair, but the technicians responding could never seem to get the system functioning properly. A few hours later, I made a call to the central station and learned this store’s burglar alarm system had not been activated in over two years. Of course, you can guess the rest of this story. An overnight surveillance was conducted, and on the first night, four people were apprehended rolling thousands of dollars in merchandise out the front door, all within an hour after store closing. The case total was over $3,000 in merchandise and annualized out, probably accounted for 40 percent of this store’s retail shrink problem. Both the store manager’s and the SVP of operations’ reaction to this apprehension were predictable. Both were outraged that this was occurring, especially considering it was so avoidable. Unfortunately, I continue to see this same scenario play itself out in every retail company where I have worked, especially in the grocery industry. Loss prevention executives believe store alarms are functioning or programmed properly, but in reality, they are not. In the end, dishonest associates, especially those working overnight, are having a field day, and companies are paying the price with large retail shrink results. Fortunately, the solutions to this problem, although somewhat complex, are achievable. Once the issues are addressed, steady, if not dramatic improvement can be made in not only protecting associates locked in buildings, but also in taking the opportunity for theft away from them. After all, we are in the prevention business, or at least I have always thought we were. As important as financial information and site visits are to the problem identification process, most loss prevention professionals have at their fingertips a wealth of information that can be analyzed to pinpoint serious exposures leading to loss within their companies. Once upon a time, associate dishonesty, shoplifting, and incident reports were all forwarded to the corporate office for statistical analysis. After all, as loss prevention professionals, we had to report our statistics, right? Today, many companies have sophisticated, automated case management systems that have either been developed internally or purchased from a software provider. Even manual reports can provide LP executives at any level with a wealth of information if broken down, analyzed, and presented properly. I have always prided myself on reading every internal theft and large-dollar shoplifting case report forwarded to my office. This wasn’t done because of all the extra time I had, but because there seems to be a lack of specific, industry-wide information linking losses to particular causes. 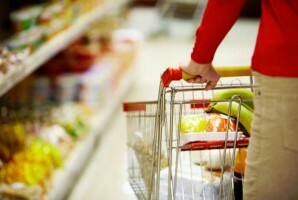 Numerous studies, including those put forth by the University of Florida and the Food Marketing Institute, provide information from respondent retailers on what drives grocery store shrink. These statistics, however, are based off the respondent’s knowledge and experience, which ultimately produces only an estimate of what they believe may be driving retail shrink. By reviewing in detail your company’s case report information, you should be able to draw direct causes, specific to your business, on what is driving retail shrink. Industry surveys are important, but you should quantify what is occurring in your business with your own information, and then use the surveys to support your recommendations, not vice versa, as many do especially based off the frequency and severity of cases. In addition, by reverse-engineering every step in a theft case, it becomes apparent, almost immediately, what controls are being compromised. Once this occurs, the solutions to prevent recurrences are obvious, as described in the case above. This is especially true when dealing with dishonest employee cases because you have more control over associates than professional shoplifters or dishonest vendors. It is also imperative to understand why an associate did what he or she did. This intelligence can go a long way in developing proactive strategies, especially as they relate to awareness, to assist in preventing reoccurrences. Once again, we are in the prevention business, and it does a business no good to simply catch associates stealing and turn them over to police. In fact, this is counterproductive, disruptive to the business, and can become costly from an investigative expense standpoint. As an example, long before POS system exception-based software was commonplace, I once assembled a team of loss prevention managers and system programmers to review and analyze over 700 internal theft reports. All 700 cases involved the front end only, as they comprised at the time 68 percent of all internal theft cases. Together, we went through each report and identified every conceivable method cashiers and service desk personnel would use to steal. This involved register manipulation, under-ringing, sliding, cash thefts, fraudulent refunds, or combinations of all of the above. This was a tedious project and took days to complete. But when finished, we had a thorough understanding of how cashiers were able to steal—in some cases for years—without being detected. This detailed research identified how serious our exposure was to front-end grocery store shrink as cashiers were manipulating register keys to pass on discounts to friends and relatives. We identified every key on the POS terminal, then focused on those used to steal the most. We labeled these “theft exposure keys.” Obviously, each of these keys had a specific function, which we identified. We also identified the exposure these keys presented and how easily cashiers could manipulate them. We supported our analysis with specific cases, which included frequency and severity by each individual register key. Yes, I know what you’re thinking—we now have exception-based software, so why analyze these cases? The answer is simple. This is the only way you can make recommendations to enhance controls at the point of sale. When you do the research, your argument for placing more controls on the front end can be compelling, especially if supported by statistical fact. In many cases, the controls that are executed have little, if any, impact on customer service, and in some cases may even improve the speed and efficiency of your cashiers. What will also occur is an immediate drop in the frequency and severity of theft-related cases at the point of sale. This same process of case analysis and reverse engineering can be used when breaking down and analyzing any problem that is affecting a store, district, region, or company. What is compelling is that the data is yours, is specific to your organization, and is not based on estimates from surveys. Instinctively, most loss prevention professionals understand that certain commodities within their business are targeted for theft more than others. Unfortunately, because of the lack of relevant, timely, and accurate data by SKU, the general view of what products are most at risk is often based on assumptions rather than quantifiable supportive data. One method of quantifying what is being targeted and why is through a simple process that is carried out daily—interviewing those individuals involved in the theft of these products. At first, this may seem obvious, and many will suggest they are already doing so, but what most departments are not doing is recording these interviews. Granted, the recording of interviews should not occur every time an apprehension is made. However, if an associate is caught stealing $60,000 in merchandise, a professional booster is apprehended with $3,000 in product, or a vendor is involved in acts of dishonesty totaling hundreds of thousands of dollars, I would argue these are exceptional cases and should be treated as such. All of this came within the first 15 minutes of the interview. After reviewing the video, the agent asked, “How did you get her to tell you all that?” Our answer was simple: we asked! The point is that by conducting interviews, asking the appropriate questions, and recording the event, you can learn more than by simply taking notes or having someone write a statement. This is especially true because you can review the video over and over again to clarify what was said. In addition, the video can be saved and referenced to identify similar methods of operation among professional boosters, dishonest associates, or vendors who are involved in acts of dishonesty. This article was originally published in 2005 and was updated June 20, 2018.